Runrig is a Scottish folk rock band founded by brothers Calum and Rory Macdonald in 1973 in Portree, Isle of Skye, Scotland. The band is now popular across the United Kingdom, Denmark and Germany and is notable for combining original songs in Gaelic with a rock sound, thus reflecting the Gaelic culture. Runrig began in 1973 as a three-piece named the "Run Rig Dance Band", its members comprising Calum Macdonald and Rory Macdonald, and their friend, accordionist Blair Douglas. The line-up played its first gig at the Kelvin Hall in Glasgow. Runrig began in 1973 as a three-piece named the "Run Rig Dance Band", its members comprising Calum Macdonald and Rory Macdonald, and their friend, accordionist Blair Douglas. The line-up played its first gig at the Kelvin Hall in Glasgow. Donnie Munro joined the following year and the band started to expand outside its native Skye. Douglas left the band in late 1974 and was replaced by Robert Macdonald, with Campbell Gunn joining for a brief spell in 1976. This line-up continued until 1978, when Blair Douglas re-joined and multi-instrumentalist Malcolm Jones became guitarist, both displacing Macdonald. This lasted until the following year when Douglas left again to pursue a solo career. 1980 saw the arrival of drummer Iain Bayne (ex-New Celeste) and 1981 that of keyboard player Richard Cherns. Cherns left in February 1986 and was replaced by ex-Big Country member Peter Wishart. This formed what became known as the classic line-up for the next 11 years. In 1997, lead singer Donnie Munro left the band for a career in politics, but later resumed his musical career to become a solo artist. The remaining members contemplated splitting up, but after a long search they replaced Donnie with Canadian singer-songwriter Bruce Guthro. This issue has divided Runrig's fan base; some argue that the loss of Donnie's highly distinctive vocals and his ability to sing in both Gaelic and English has not been truly compensated for by Bruce, whose vocal style is much lighter and who is not a Gaelic speaker. Others claim that the fact that Bruce has such a different voice has allowed Runrig to evolve musically in ways that it might not have done were Donnie still with them. In 2001, Peter Wishart, the band's keyboard player, left after being elected Member of Parliament for the constituency of Tayside North for the Scottish National Party. Brian Hurren stepped in to take Wishart's place in the band. As of 2011, Runrig is on extended hiatus. 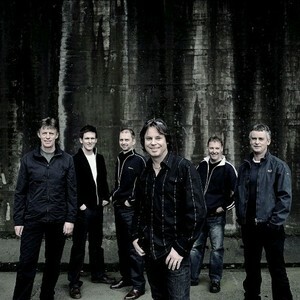 The official Runrig site can be found at http://www.runrig.co.uk.